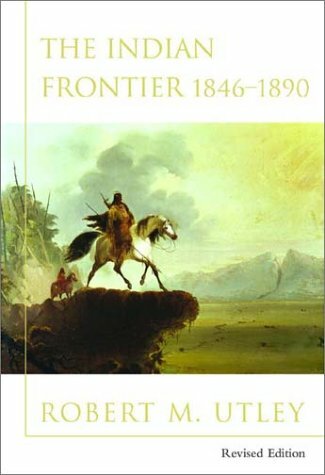 First published in 1984, Robert Utley's 'The Indian Frontier of the American West, 1846-1890', is considered a classic for both students and scholars. For this revision, Utley includes scholarship and research that has become available in recent years. Robert M. Utley, former Chief Historian & Assistant Director of the National Park Service, is the author of many books & articles on the West, "Cavalier in Buckskin", also published by the University of Oklahoma Press, won the 1989 Western Heritage Wrangler Award for Outstanding Nonfiction Book & was a Book-of-the-Month Club & History Book Club selection. Since his retirement from the federal government, he has devoted himself full time to historical research & writing.